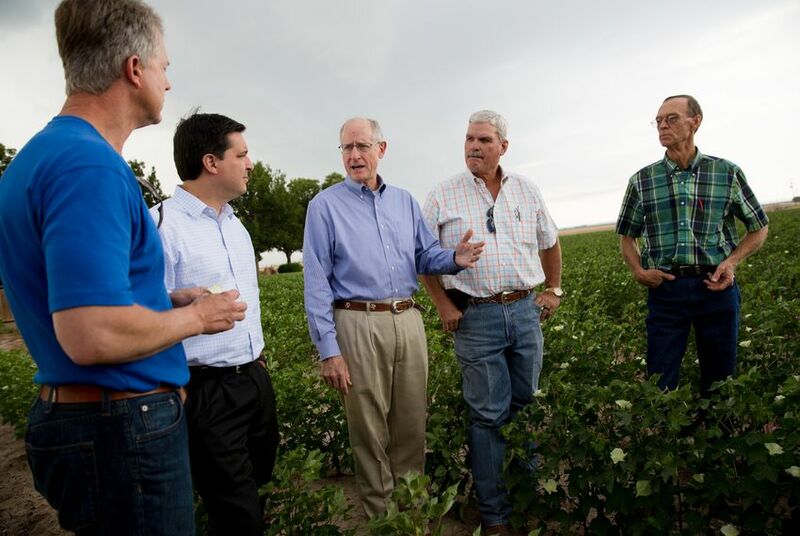 U.S. Rep. Mike Conaway, who chairs the House Agriculture Committee, has been laying the groundwork for passing the massive piece of legislation known as the farm bill for over a year. WASHINGTON – The U.S. House on Thursday narrowly passed the farm bill, a sprawling piece of legislation that both benefits the agriculture community and funds the Supplemental Nutrition Assistance Program, formerly known as food stamps. While the farm bill is historically bipartisan, Democrats uniformly opposed this version. They charged that Republicans forced through measures on the SNAP side of the bill that they could not accept. The vote was 213-211, with all of the Republicans from Texas backing the legislation. The farm bill is the result of a decades-old strange-bedfellows alliance of members who represent rural areas and urban members who care about SNAP. The bill provides crop insurance and subsidies to farmers, but most of the funding goes towards SNAP. What happens next with the farm bill is currently one of the biggest questions on Capitol Hill. It is hard to see how the two chambers can square away their differences, but members close to the negotiations remain optimistic. One possible solution to the log jam would be to pass a short-term extension that will move back the Sept. 30 deadline. Members could then pick it up during the lame duck session following this year's elections or next year under a new Congress – one that could be controlled by Democrats, depending on how various races around the country shake out.